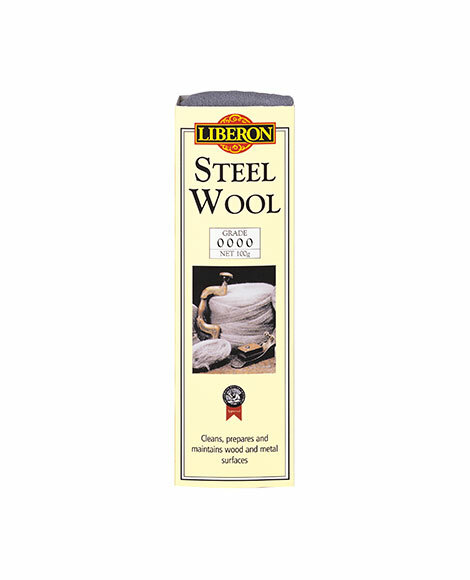 Steel Wool Grade 0000 is a flexible, ultra-fine steel wool used to cut back between coats of varnish, paint or oil finishes. It is ideal for polishing and cleaning delicate surfaces, including metals such as bronze, copper, chrome, stainless steel and aluminium, or with soapy water to clean and polish porcelain, marble and glass without marking. Steel Wool is available in 7 grades from Ultra Fine 0000 through to a range of Fine to Medium 00, 0, 1 and Medium to Coarse 2, 3 and 4. If in doubt use a finer grade of Steel Wool. Always test the products on a spare surface or inconspicuous area for compatibility and end results.